AntiquarianAuctions.com was set up by antiquarian bookseller Paul Mills, who has been an active dealer in the international rare book trade for over 35 years and is a member of rare book trade associations such as ABA, ILAB and SABDA and various international rare book organisations and collectors clubs. The site was developed and is run by a team with over 10 years experience in the international book trade as well as experience in live bidding technology and digital marketing. AntiquarianAuctions.com is not another internet start up. It has a proven track record of successfully running rare book internet auctions and building its database since 2010. 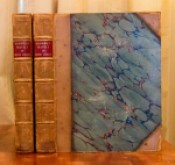 AntiquarianAuctions.com is the only online auction platform for rare book dealers worldwide to auction stock. "The first ever travel photographs are up for auction — and they offer a fascinating glimpse into ancient Egypt." "The birth of travel photography: Amazing pictures of Ancient Egypt which wowed the Victorian world in the first years of the camera." "Victorian travel photos show ancient Egypt in all its glory." 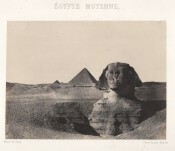 "A series of rare travel photographs from the 1800s taken by Maxime du Camp depicting famous spots in Egypt have gone up for auction online. 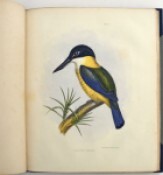 "A rare first edition of “perhaps the best and most famous of the South African travel books” is expected to fetch at least R90 000 at an auction." 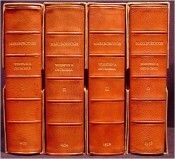 AntiquarianAuctions.com is celebrating its 50th auction after 6 years of running successful online rare book auctions. Paul Mills from AntiquarianAuctions.com being interviewed by Nancy Richards on the SAFM Literature Show in connection with ILAB Pop Up Fairs on UNESCO World Book Day. To mark Unesco’s World Book and Copyright Day on 23 April, 1,800 members of the International League of Antiquarian Booksellers (ILAB) are preparing a series of pop-up fairs featuring rare books. The digital revolution - 20 years on... Proof of the power of the medium, the firm received international news coverage with the sale in 2015 of a four-page letter by the Anglo-Irish diplomat and Irish Nationalist Roger Casement. "Bidding is hotting up in an online auction for a 102-year old letter from prominent Irish nationalist, Roger Casement..."
"From the mid-1990’s it became evident that the internet would fundamentally change the antiquarian book trade. Our response in 2004 was to start an online rare book auction site. Over the past eleven years we have run 110 successful auctions attracting buyers from all over the world." "Botanical Art, Travel, Americana & Africana at Auction April 16-23." "Rare book up for charity auction to celebrate World Book Day." "Antiquarian Auctions has been making the most of trends in the bookselling field - online selling, desire for quicker turning of inventory, visible market pricing, international selling – to quietly raise its profile over the past five years." "For over 5 years, AntiquarianAuctions.com has been running successful online rare book auctions, growing its database and traffic exponentially." 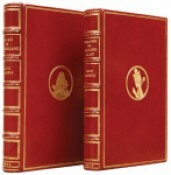 "Rare and out-of-print book specialists, AntiquarianAuctions.com, have launched their updated website, just in time for their March 5-12 timed sale... Buyers on the site, which has been going for five years,...also bid on maps, prints, documents, letters, ephemera and vintage photography." 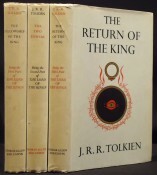 "Since 2010, AntiquarianAuctions.com have been selling rare and out-of-print books exclusively online"
"Auction #37 was successfully concluded on 28th August 2014 with particularly brisk bidding"
"A rare copy of the first edition of Gone with the Wind by Margaret Mitchell was among books offered on AntiquarianAuctions.com"
"A letter that tells an intriguing story of murder, betrayal and sabotage is up for grabs tomorrow when a slice of Eastern Cape history goes under the hammer." "AntiquarianAuctions.com is holding an important sale of Africana and other books"
"Die oorsponklike manuskrip van Die Stil Avontuur, die tweede digbundel van die Suid-Afrikaanse digter Elisabeth Eybers, wat in 1939 uitgegee is, word op 30 Augustus aanlyn opgeveil"
"Bookworms and collectors of antique printed material will be delighted by this online auction"
Performed in His Majesty's Ships the RESOLUTION and ADVENTURE in the Years 1772, 1773, 1774 and 1775. Number 16 of 150 copies, signed by the artist. Delineated from life in their native haunts, during a hunting expedition from the Cape Colony as far as the Tropic of Capricorn in 1836 and 1837, with sketches of the field sports.